Hillary Clinton earlier today at the polls. 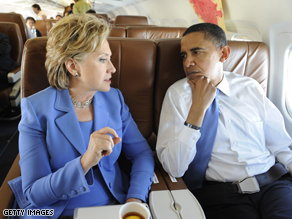 (CNN) - Hillary Clinton and Barack Obama have spoken, according to Clinton spokesman Philippe Reines. The two spoke for a few minutes: Clinton congratulated Obama on his victory, and offered her condolences on the loss of his grandmother. Obama thanked the New York senator for all she did to help him win the election, and said he looks forward to speaking with both her and President Clinton soon. (CNN) - White House spokeswoman Dana Perino says President Bush called Sen. Barack Obama at 11:12 p.m. to congratulate him on his victory, and that the President extended an invitation for the President-elect and his family to visit the White House soon, at their convenience. "Mr. President-elect, congratulations to you. What an awesome night for you, your family and your supporters. Laura and I called to congratulate you and your good bride." 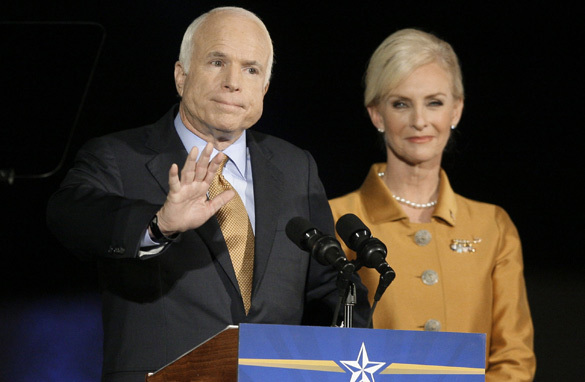 Perino said the President also plans to talk to Sen. John McCain after McCain's speech. NEW YORK (CNNMoney.com) - Global stocks traded higher and U.S. futures rose on Tuesday as Democratic presidential candidate Barack Obama was named the projected winner. 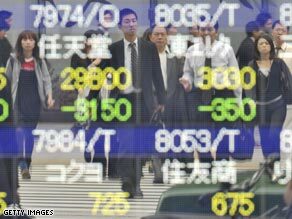 The Nikkei, the major index for the Tokyo Stock Exchange, rose 2.8 percent in early trading. The Hang Seng index in Hong Kong surged almost 6 percent at its open. The Australian All Ordinaries index was up nearly 2 percent. 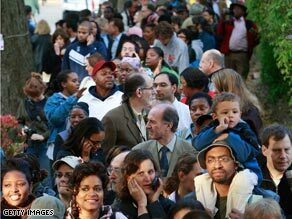 Americans turned out in record numbers to cast their votes for Democrat Barack Obama and Republican John McCain. 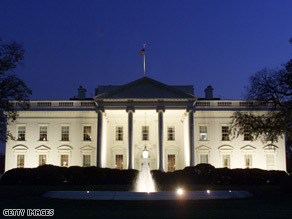 At 11 p.m., CNN projected Obama as the winner over McCain in the electoral college. Obama's substantial lead was providing optimism for global markets. "From the world perspective, Obama is perceived as a better candidate and I think they are voting with their dollars," said Jack Ablin, chief investment officer at Harris Private Bank in Chicago. (CNN) - The great modern American presidents have been transformational figures - Americans who could inspire a country with their words, lift it with their hopes and take our country into the future: FDR, JFK, Reagan. These men took an uncertain country beyond economic depression and the arms race and the threat of nuclear war and led America into New Frontiers. Each began the country anew. They transformed the country they led. Today, America faces a new global frontier, challenging our security and economic prominence. To lead us, we have chosen another New Frontier president, another transformational leader. He, like they, has the potential to inspire and unite and become one of our great transformational presidents. May God bless him and keep him and guide him on a successful journey. 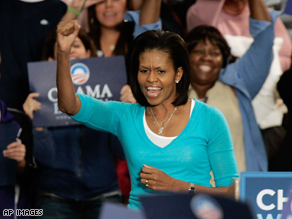 Obama supporters react to news that he is the projected to be the next president. (CNN) - American voters - who elected Barack Obama president tonight - made their choice with a mixture of excitement and tempered optimism. Among the electorate as a whole, 30 percent indicated they would be excited if Obama won the election while 24 percent said they would be optimistic but not excited. Reflective of the election results, only 14 percent said they would be excited if McCain were elected and 32 percent optimistic. Negative feelings and expectations are also held toward both candidates. Twenty-five percent reported they would be scared if Obama were elected and 20 percent concerned but not scared. With respect to McCain, 28 percent said they would be scared and 25 percent concerned. (CNN) - White voters continue to support the Republican presidential candidate, as they have for many years. In the exit polls reported thus far tonight, 53 percent of whites say they voted for McCain while 43 percent of whites voted for Obama. 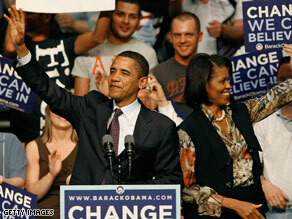 Obama, however, has a dramatic edge among African-Americans (96 percent), Latinos (67 percent ) and Asians (63 percent). Significantly, America's non-white vote is increasing as a proportion of the entire electorate. In the 1992 presidential election, whites made up 87 percent of all voters. This proportion fell to 83 percent in 1996; to 81 percent in 2000 and 77 percent in 2004. So far in today's exit polling, whites make up 75 percent of the electorate. Projected demographic trends indicate that the proportion of non-white voters, particularly Hispanics, will increase further in the future. Exit polling also shows that McCain winning among Southern whites by a margin of 69 percent to 31 percent. Outside the South, McCain won among white voters 51 percent to 49 percent. (CNN)–African-Americans played a key role in Obama's projected victory in Virginia, a state that has not supported a Democratic candidate for president since 1964. African-Americans comprised 20 percent of the total electorate in Virginia, with 92 percent voting for Obama. Whites - 70 percent of today's voters in Virginia– voted for McCain by a 60 percent to 39 percent margin - a margin higher than that found nationally. As elsewhere, Obama drew heavily among Virginia's younger voters (60 percent), first-time voters (63 percent), those most worried about the direction of the economy (54 percent) and those opposed to the U.S. war in Iraq (79 percent). 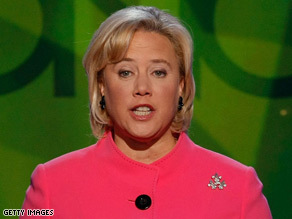 (CNN) - CNN projects that two-term Democratic incumbent Mary Landrieu will defeat Republican challenger John Kennedy for the Senate race in Louisiana. CNN projections are based on actual results and exit poll data from key areas. (CNN) - John McCain admitted defeat in the race for the White House Tuesday, saying: "The American people have spoken, and they have spoken clearly." McCain said he had called Barack Obama to offer his congratulations shortly after 11 p.m., when polls closing on the West coast gave Obama the electoral votes to become the nation's first black president. "Sen. Obama has achieved a great thing for himself and his country," he said, calling Obama a "good man."